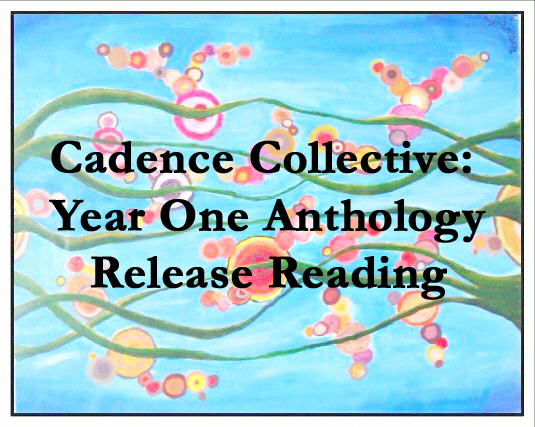 The release date for the Cadence Collective: Year One Anthology is set for Sunday, September 14th at Gatsby Books. It’s 180 pages of Long Beach inspired goodness! We will be having our first of several celebrations at Gatsby from 2-6 pm, where you can buy the book and hear more than 35 of its contributors (time permitting, fingers crossed) read from its pages. Another date is set for Wednesday, September 24th at The Ugly Mug in the City of Orange beginning at 8 pm. A third confirmed date is Saturday, October 11th at a new pop-up bookstore called Read On Till Morning at Crafted in San Pedro. We are working on a date for the Whittier area and will post that information on our Facebook page as it is confirmed. You can buy it for only $15 at any of the events or ongoing at the bookstore locations. For those of you unable to pick it up at a local independent bookstore, it will be at the Sadie Girl Bookstore online or through Amazon by September 7th.